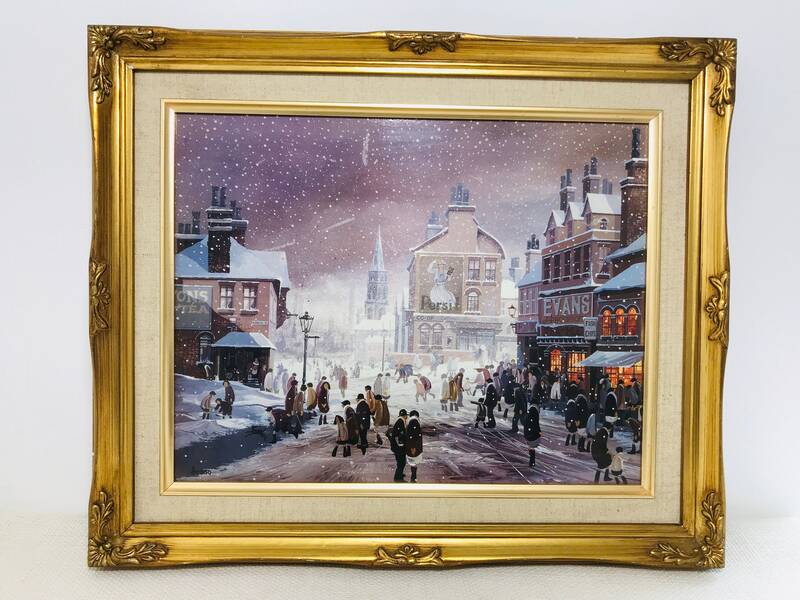 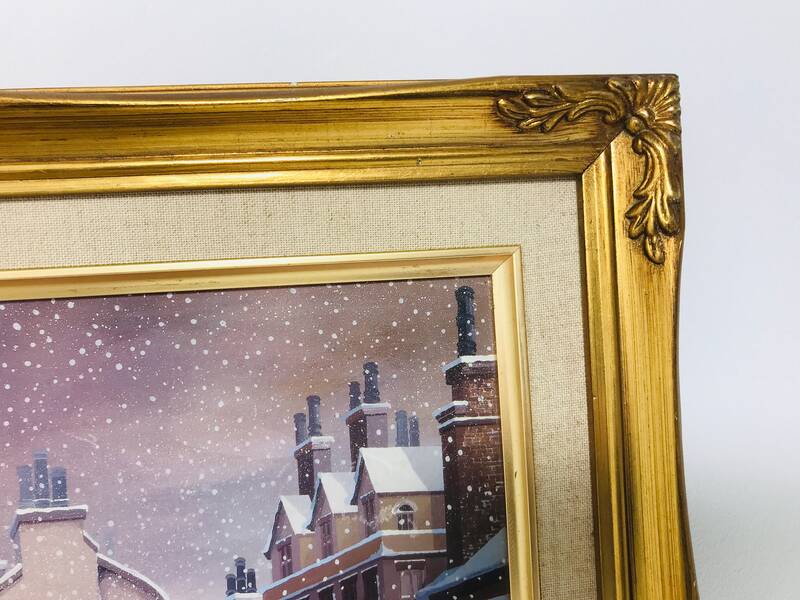 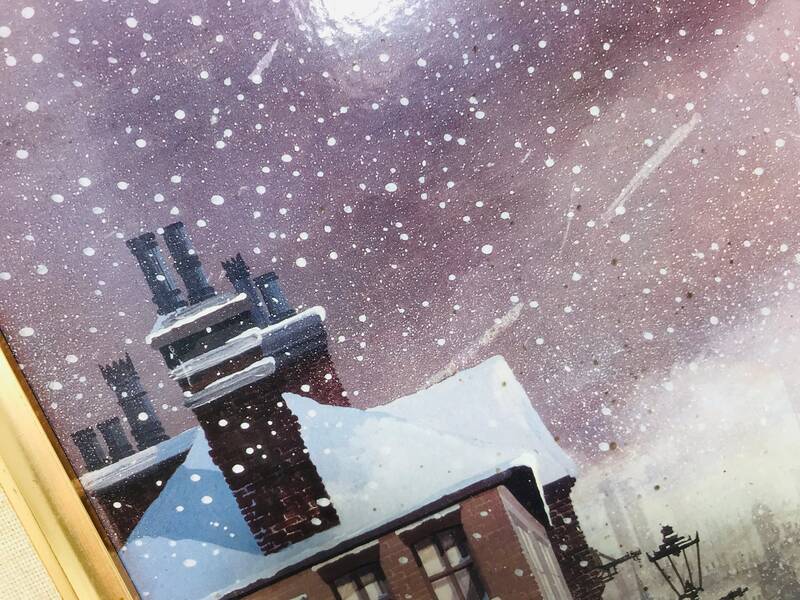 A lovely gold ornate framed reproduction painting on print of a snowy winters night with people passing by a victorian style shop scene. 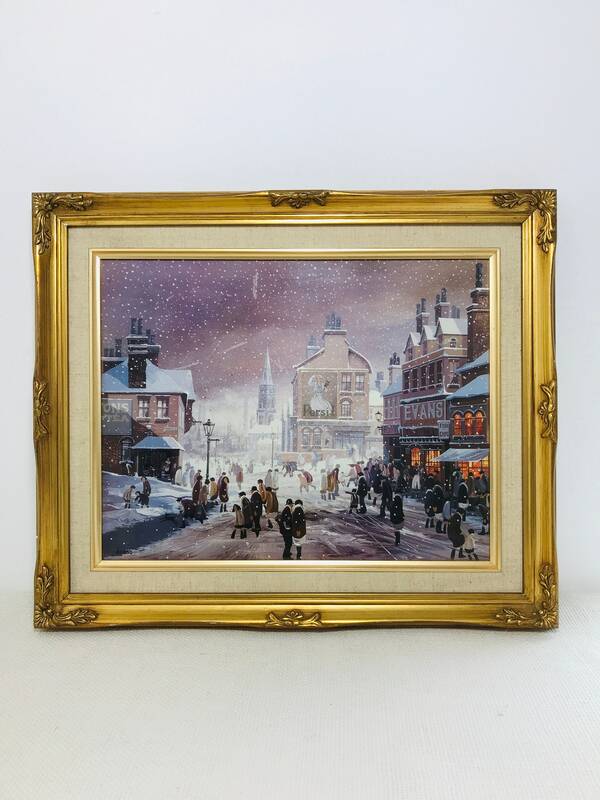 Quaint and nostalgic image which would sit lovely in a vintage cafe, bistro or restaurant. 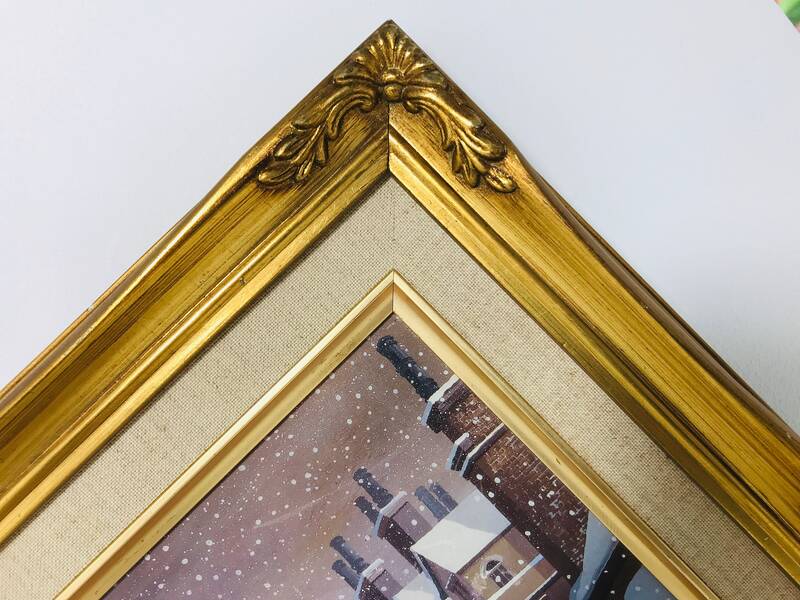 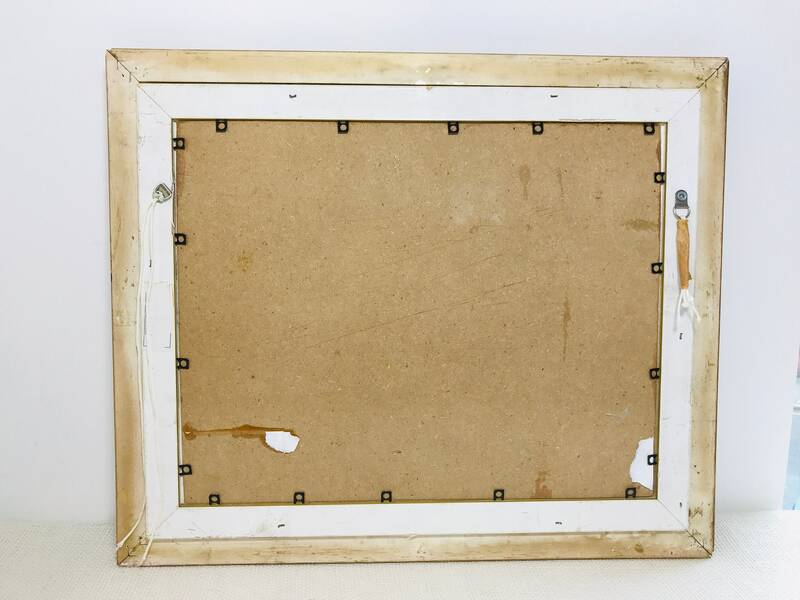 External Frame measures approx H15" x D18" x D1.5"
Frame Size without Mount H13" x W16"
Size of Painting: H11" x H14"